You've tried to decode a VIN, or a handful of VINs, but for whatever reason you keep getting an invalid VIN message. This can be extremely frustrating, especially if you have no idea what might be causing the failed decode(s). There are quite a few reasons why a VIN won't decode. If you're having trouble decoding vehicles in your inventory, consider this list of errors and challenges commonly faced when working with Vehicle Identification Numbers. In this day in age, there's so much work to get done with such a small window of opportunity to do it in. Many of us have our time spread thin between work, family and social lives; so after a long days work, having to take more work home is less than ideal! This is where utilizing a 3rd party solution(s) becomes a necessity for many businesses. The saying "time is money" applies to most all professions, however, maybe none more so than professionals in the automotive industry. Regardless of which segment you work in (auto sales, marketing, insurance, software development, logistics, etc.) there will be a number of items on your team's agenda that cannot be contracted to a 3rd party. 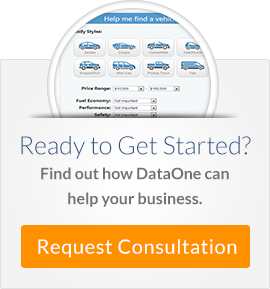 Luckily, with vehicle data solutions readily available from trusted data providers, you are not stuck having to create a solution in-house. In fact, with the availability of delivered data, web services and hosted software solutions, integrating these products has never been easier.